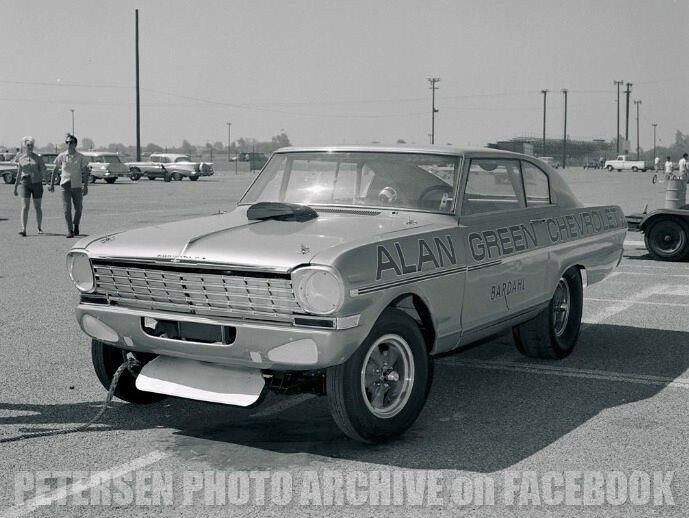 The Alan Green Chevrolet 1963 fastback altered-wheelbase Nova. Under the aupices of race car builder Bill Thomas, fibreglass meets metal to create a trio of road racing or drag cars built from convertible Chevy IIs. A stroked 327 with a Corvette rear end motivating a Nova around a road course sounds pretty cool, but Chevrolet killed the factory racing effort, so all of the cars found new homes and were repurposed specifically for the quarter mile.